These skeins are Naomi’s latest experiment. First, washed fleece was dyed in three colours – red, blue and yellow. Then, the wool was carded randomly. Some batts were carded only once to keep much of the original colours. Others were carded twice or three times to combine the colours more. The spun singles were multicoloured, many with mainly one or two colours being mostly visible in varying shades. The singles were then plied to create very multicoloured yarn. 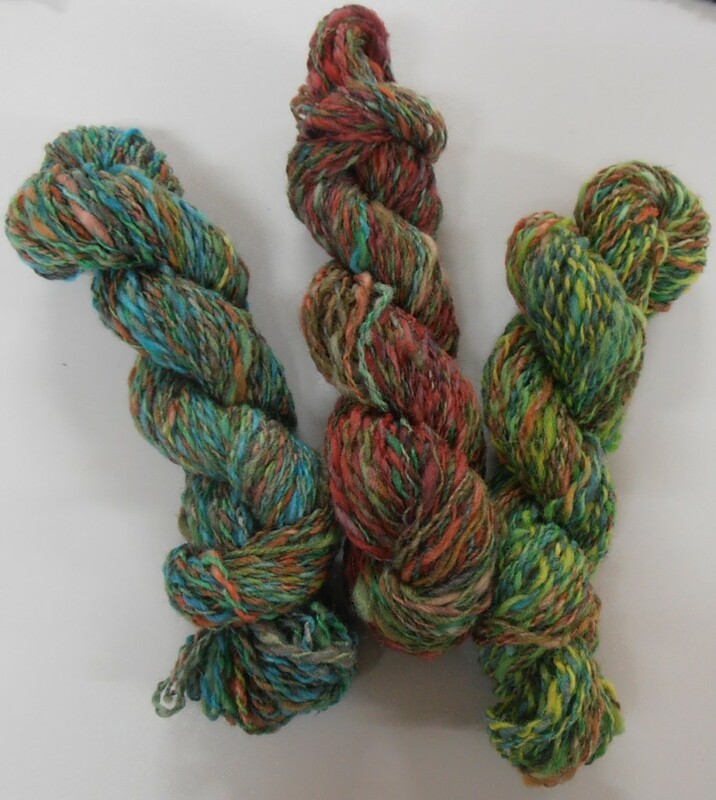 The above three yarns were all spun from the same batch of dyed fleece. Very happy with the result.